The man who healed the sick, fought for justice, did many great deeds, filled with compassion, driven on by joy and in constant conversation with God the Father. Jesus Christ the man who claimed to be God and was God! Jesus who emptied Himself, made Himself nothing, so as to take on human form. Jesus Christ, fully human and yet fully God. Jesus Christ the most amazing man who ever lived, born of a woman, in a humble stable. Jesus Christ, the man born to die that he may come back alive and give all people a chance to live forever. Jesus Christ, who died on a grubby Roman cross, pierced, battered, bruised and scarred. Jesus Christ, the God-man who died physically. Jesus Christ, buried within and sealed into a cold empty tomb. Jesus Christ who conquered death, came back alive as witnessed by uncountable others. Jesus Christ who defeated the sting of sin, so that humanity may choose to live forever! Jesus Christ, whose death and resurrection we celebrate at Easter, who ascended to the right hand of God the Father. Jesus Christ, who with the Father, sent the Holy Spirit to transform into the image of Jesus Christ, all who choose to follow Him. 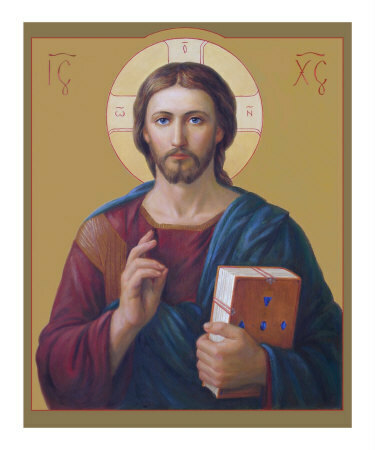 Jesus Christ, who covers His followers in His own robe of righteousness so that they would be acceptable to the Father. Jesus Christ, coming again soon in glory to judge humanity and claim those who follow Him. Last week we learnt about the message and this week we will look at what we are to do with that message. But first another question. What is God’s responsibility in salvation and who decides who is saved? With that in mind, as you are probably aware, there is a question which has been debated for centuries: Who decides who is saved? Is it God’s overarching and sovereign will that decides which person will be saved? Is it God’s permissive will, which allows a person’s freedom of choice to be saved or not? As I said, it is a question been asked for centuries! Is it just a small group of people of elect: those who are saved by God and nobody can do anything about it – whether they want to be saved or not? Or is everyone eventually just going to be saved – whether they want to be or not? 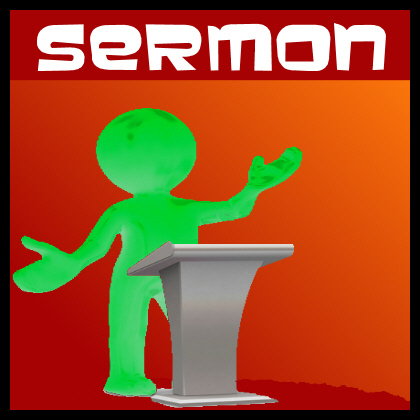 To discover what more is said, please do download the audio to hear this sermon... Thank you! In this part of Romans, from chapters 1 to 11, Paul has been drawing a word picture of the Gospel of Jesus Christ. The Gospel which demonstrates that God gets his hands dirty. The Gospel, the Good News from God, which tells us that God has done all He could do, in order that all of humanity could be saved. The Gospel which claims all people can be in a living and dynamic relationship with God, if they choose to be so. All without favouritism. Paul then goes on to investigate in depth about this Gospel, the nation of Israel and the Gentiles. That is where we are in Romans 10 for the next two weeks. This week we are looking at the message of salvation. The who, what, why, where and wherefore. Next week we will look at what we are to do with that message of salvation. Paul explains in his letter to the Church in Rome, that there cannot be salvation for anybody apart from the true salvation which is borne from faith in Jesus Christ alone, through the grace of God alone. That is our Gospel message, is it not? In chapters 9 to 11, Paul is elucidating that the Jewish people weren’t saved simply because they were Jewish. By no means, no! They were to be saved by faith, calling on God through their Messiah, the man of history known as Jesus Christ. That is what Abraham, Moses and all the Prophets down through the ages had told them to look for – a Messiah who was to come. But mostly those words had fallen on deaf ears and been ignored. Download the audio to hear this sermon... Thank you! 1 Peter 1:3-9 - Praise be to the God and Father of our Lord Jesus Christ! In his great mercy he has given us new birth into a living hope through the resurrection of Jesus Christ from the dead, and into an inheritance that can never perish, spoil or fade. This inheritance is kept in heaven for you, who through faith are shielded by God’s power until the coming of the salvation that is ready to be revealed in the last time. In all this you greatly rejoice, though now for a little while you may have had to suffer grief in all kinds of trials. These have come so that the proven genuineness of your faith – of greater worth than gold, which perishes even though refined by fire – may result in praise, glory and honour when Jesus Christ is revealed. Though you have not seen him, you love him; and even though you do not see him now, you believe in him and are filled with an inexpressible and glorious joy, for you are receiving the end result of your faith, the salvation of your souls. Last week we looked at 1 Peter 1:1-2 & 2:11-12, under the title “Living in the face of alienation and its cure”. The Apostle Peter was writing to a group of people, followers of Jesus, spread throughout what we know as modern Turkey. These believing sojourners were undergoing trials, suffering & persecution. Peter instructs them toward Christian stability, and the proper expression of this stability and growth. Throughout the letter, Peter stresses a hope so alive, so glorious and so very certain, that any persecution, trial and suffering can be endured. These people are sojourners or pilgrims on a spiritual journey! Last week we discovered that Peter reminds them of the God they worship and live for - a missional & relational God of salvation. A loving God who is Trinity – Father, Son and Holy Spirit. God the Father has chosen and is calling all people to Himself, out of amazing love for them. God the Holy Spirit sanctifies and cleanses to allow people to enter God’s holy presence through the obedient sacrifice of God the Son. Today, we dip into Leviticus 16, which I think is the centre and pinnacle of this magnificent book of joy. Leviticus 16 describes the Day of Atonement which was to occur annually on the 10th day of the 7th month. We know that God had chosen Israel to be His people and that they were supposed to be a shining beacon of light and hope to the world. As part of the covenant made with Moses, God said that He would be their God and they would be His people. What a contrast to the nations around them that worshipped multiple ‘gods’, made of material such as wood or stone and often thirsty for human sacrifice. Contrast those ‘gods’, with the God of Israel, who had made himself personally present with His people in the Tent of Meeting or Tabernacle. Let’s look briefly at what went on at this Day of Atonement or Yom Kippur. The first seven chapters of Leviticus talk about the different offerings or sacrifices that Israel was to make to God. Then in chapter 8 we see the beginning of the priesthood and the joyful work of Aaron and the priests. Their main role as Priests, was to act as mediators between a holy God and the people of Israel, particularly in the role of making those offerings and sacrifices. In fact, these Priests were the ultimate multi-taskers, as they seemed equally adept as butchers, doctors, teachers, quality assurors and public health inspectors! The passage we have in front of us today shows the culmination of this priestly ordination. Let us witness together a scene of great and exuberant joy! Throughout the Bible, God is proclaimed as one! We hear the cry echoing throughout! This one God is also frequently called Almighty! How is He Almighty? God is Almighty, in that He is an Almighty God of Almighty Love. In the Bible, God’s love is revealed. Did you note that the Apostle John in does not simply say that God loves, but rather he writes “God is love.” There is s a difference! God is love and God loves because that is His very nature. We love God because He first loved us! Throughout the Bible, God’s love is described as an unfailing, everlasting, intimate, sacrificial, unbreakable, conquering, immeasurable and all-knowing. How is God’s love seen? Download the mp3 to find out more! Reading 1 - Mark 12:28-31"One of the teachers of the law came and heard them debating. Noticing that Jesus had given them a good answer, he asked him, ‘Of all the commandments, which is the most important?’‘The most important one,’ answered Jesus, ‘Love the Lord your God with all your heart and with all your soul and with all your mind and with all your strength.” The second is this: “Love your neighbour as yourself.” There is no commandment greater than these.’"
Reading 3 – 1 John 4:13-20 - This is how we know that we live in him and he in us: he has given us of his Spirit. And we have seen and testify that the Father has sent his Son to be the Saviour of the world. If anyone acknowledges that Jesus is the Son of God, God lives in them and they in God. And so we know and rely on the love God has for us. Tonight, we look again in the book of Leviticus. Some of the words and phrases we commonly use come straight from the book of Leviticus. Words such as jubilee and scapegoat are commonly used today. And what husband hasn't offered a form of guilt offering to his wife!Leviticus does have important things to tell us about sin, obedience and holiness. Perhaps most importantly it tells of God dwelling with His people. So today we delve into Leviticus chapter 16, which is the centre and pinnacle of the book. So please do turn in your bibles to Leviticus 16. This is that moment in time when God, who is outside of time and space, created the universe which is 90 billion light years across. Within this universe, He created galaxies, including our own, the Milky Way. Within the Milky Way, God created a Solar system which contains our Planet Earth. God created the planet Earth and placed it so that it would always be just the right distance away from the Sun in order to support life. Never too close and never too far away as the Earth orbits the Sun. Just right. Though I am sure there are some people here who think that in the past couple of weeks it has got a bit too close for comfort. We see in this story from Genesis 1, that Almighty God created, hovered, separated, made, let be, gathered, called, saw, commanded, set, gave and blessed. He said let there be light, and there was! A great God of Wonder is He! Do you know this God? Paul is speaking a letter to the Church in Rome, those he calls “God's beloved”. He has not yet been to Rome and is currently in the great Greek city of Corinth, and it is about AD57-58. A man we know as Tertius is acting as his scribe and writing down what Paul is saying. Tertius would later go onto be a Bishop in Iconium. So far in this letter, Romans 1 to 11, Paul has been drawing a word picture of the Gospel of Jesus Christ. The Gospel which demonstrates that God gets his hands dirty. The Gospel which tells us that God has done all He could do, in order that humanity could be saved, be in a living and dynamic relationship with Him, if they choose to be so. Paul then goes on to investigate in depth about this Gospel, the nation of Israel and the Gentiles. That is where we are up to with the passage before us, Romans 12. Now, just as Romans 1-11 shows us that God got his hands dirty, in the life, death and resurrection of His Son, Jesus Christ, so must all those who call themselves His followers and children. As we will hopefully see together, if you are a Christian, you also must put your faith into practice, exercising it as you do your muscles. If muscles aren’t exercised or used, they wither away. The same can be said concerning our faith. How we live our life as Christians, is to reflect the life and love of the God whom we declare openly that we follow and love. To continue with this sermon, please do use the mp3 link below!